Sentry Windows & Doors – Nothing less than the very BEST! In a sky full of stars, Ken & Tamar Sherman, the Owners & Operators of Sentry Windows and Doors, illuminate Windsor-Essex!” You need only to look outside your own window to find out why! It is because all departments are based right here in Windsor-Essex! Having each department locally-based truly connects them with their mission, which is to provide the residents of Southwestern Ontario the highest quality, affordable, Canadian-made window and door products provided today, designed to perform in the Windsor and Essex County climate, complete with installation, all with lifetime warrantee! In fact, they are the only local full-service window and door company in Windsor-Essex working exclusively with the homeowner to find the absolute best window and door solutions with a true lifetime warranty, so you never replace the windows and doors again! Sentry Windows and Doors is a proud Energy Star participant and a member of the Canada Green Building Council (CGBC), National Fenestration Rating Council (NFRC), SAWDAC & Renovation Canada & CSA Group and Efficient Windows Collaborative. These memberships are very important to them as they serve to endorse and legitimize their product and service to the public and the consumer. They offer a high-quality, durable window and door product and specialize in the residential replacement window and door market. They DO NOT work with builders but with the home owners only. Ken began his career in windows & doors in 2011 at a company that was based hours outside of Windsor-Essex, but being from Windsor; he had always dreamed of bringing his own dealership back to his hometown. 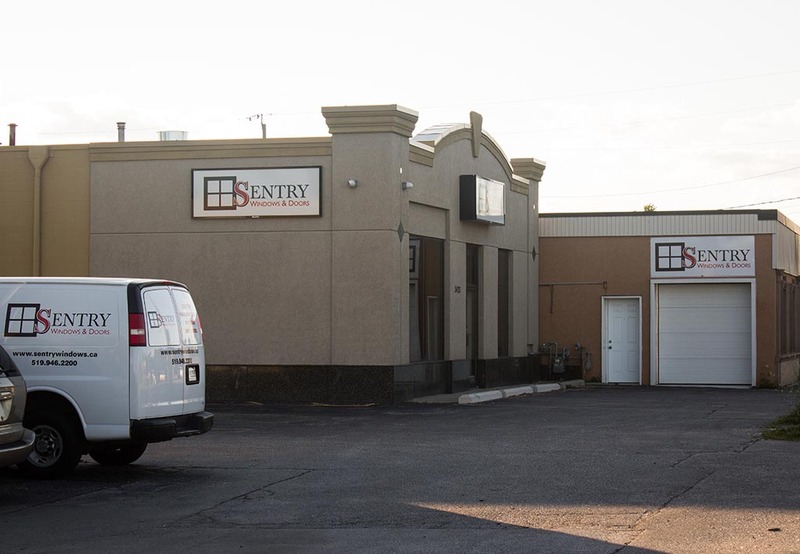 Sentry’s Ontario-based head office had been manufacturing and installing windows for over 53 years under the Hometech umbrella, so it made perfect sense to bring their superb quality, commitment and longevity here! The manufacturer was hand selected because it is entirely Canadian-based and because of their excellent products & service. 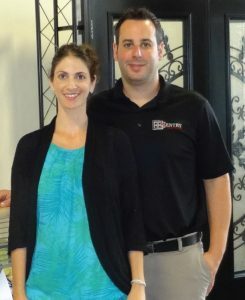 Ken and Tamar proudly head all departments under one roof at 3423 Walker Rd. in Windsor, Ontario. From sales and marketing to service, installation, and warehousing, you’re calling no further than Walker Road in Windsor-Essex! They are proud to say that they have grown tremendously over the past 4 years, employing 28 residents! Consumers were frustrated with the industry itself, which only provided standard sizes and options. 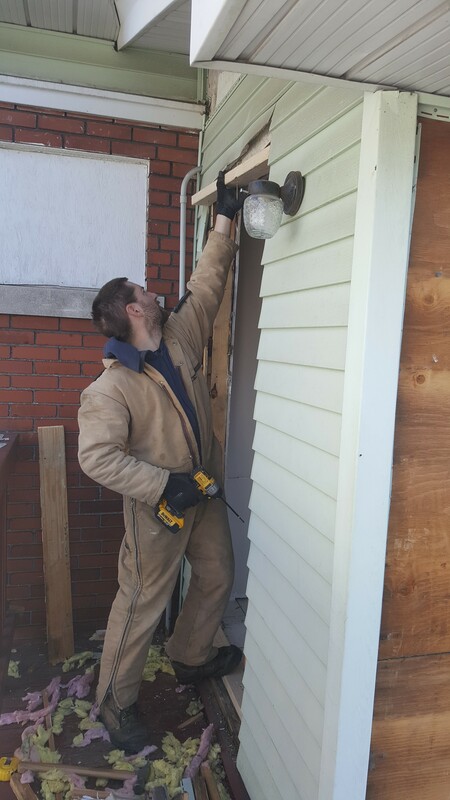 Sentry Windows and Doors answered their call! In 2016, they began manufacturing their own line of superb-quality, custom-made residential door products! 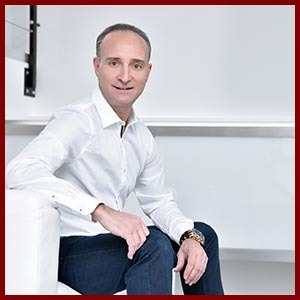 “We can do anything the customer envisions,” says Ken. “Whether it’s a 19th century home in the Walkerville district or a brand new home in Lakeshore, Sentry Windows and Doors can manufacture and install a door system that will fit perfectly, regardless of style, size, and opening!” The door frames they manufacture are built entirely of composite PVC which is truly durable and will not need constant painting or staining. The door panels they provide consist of steel and fiberglass, each having their merits. Steel is extremely dependable and secure and is excellent material for entry doors. Fiberglass is also a great choice with the bonus that it will never ding or dent. Plus, it can be stained for a wood look. The vinyl in their windows is the most considered & lasting choice, and there is nothing better! Vinyl comes in a multitude of colour choices and won’t rot or rust, leaving little-to-no maintenance required. The most purchased window is undoubtedly the vinyl casement window because of the multitude of colour and style options available which allow shoppers to truly customize their home. This product is also available in wood grain finishes as well. So at Sentry Windows and Doors, the customer can trust they are receiving quality and guarantee, they only need to concentrate on style. This makes the process of shopping for windows and doors so much more fun! Ken does suggest a few things for windows only as a guideline… like two-story homes should consider double hung because of the easy cleaning feature, and in kitchens, above the sink, an awning style window would be recommended but says all are analyzed on a case by case basis. Sentry employees take the time to get to know each customer and their personal situation which helps them ensure the style of window chosen makes the most sense in their home. Window and door styles are constantly changing, and Sentry adapts to the look of the customer’s home and design, inside and out, to ensure their design will pay tribute to the customer’s home. Sentry also provides self-cleaning windows, better view screens, and built-in window blinds right in the glass, so you never have to dust or clean your window blinds again! The options are limitless! Plus, their amazing Door Builder program allows the customer to view a door being built onto their house prior to ordering to help make sure they love what they choose before it is built and installed! We were promised that heat from the afternoon sun wouldn’t get through our new front bay window, but we are finding we need to close the curtains in the afternoon most of the time. Is this normal? Is there any window technology today that would actually keep heat out? Q: We originally wanted to save cost by purchasing sliding windows but were talked into crank windows for cosmetic purposes because sliders would ruin the look when opened, showing 2 extra vertical supports. We love the look but little did we know that the wind would catch the window and now we have to be careful as to how much we open and how windy it is outside. Is this something that you would take into consideration? All of these problems and be corrected and prevented in the future by installing new high-efficiency windows! Sentry Windows and Doors proudly services the entire Windsor-Essex County region and surrounding areas such as… Windsor, Lasalle, Amherstburg, Tecumseh, Lakeshore, Belle River, Essex, Kingsville, Leamington, Woodslee, St. Joachim, Tilbury, Oldcastle, Harrow, Maidstone, Chatham, Comber, Cottam, Emeryville, McGregor, Merlin, Morpeth, Ruscom Station, Ridgetown, Ruthven, Wallaceburg, Wheatley and much more. Their full lifetime warrantee on products and installation ensures that once you purchase a Sentry Window and have it installed by their professionals, you will NEVER need to replace your windows & doors again! Spring is not only the busiest time for Sentry Windows & Doors but THE BEST time to replace your windows. Here’s another reason… Sentry Windows & Doors is generously extending their best deal of the year offered in Spring, into Summer 2017! Receive 1 year NO interest and NO payments OR save up to 25% off the entire order!!! Financing is also available. Just mention Cris Kambours when you contact them. Visit their showroom at 3423 Walker Rd. Windsor, Ontario, and website at www.sentrywindows.ca. Contact one of their Product Specialists today at 844-661-9107 or info@sentrywindows.ca to schedule a complimentary in-home consultation or if you have any questions. If you can’t manage this spring, they work year round, are equipped for both warm and cold weather AND will work around your schedule. Because of their commitment to quality & professionalism, Sentry Windows & Doors stars shine bright online as well, with amazing 5-star reviews! Just take a look at what their past clients have to say on their website and Facebook page. Be sure to like their Facebook page for great home-related information and examples of their work! Thank you, Ken Sherman, for sharing your incomparable expertise with the Windsor-Essex community! PreviousPrevious post:How to Make Your Home the Hottest Buy in the Market!NextNext post:YQG is TALKing and I’m listening!